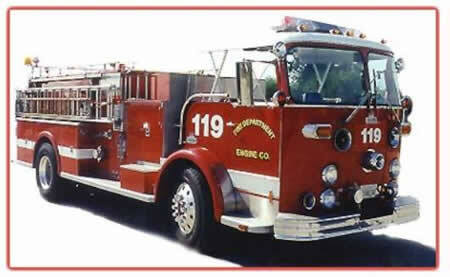 The other night I dreamed I was driving a fire-truck like the one above. Everyone who knows me knows I have strange dreams about driving. Sometimes I am driving on the freeway and I can barely see, like in twilight without my glasses. Sometimes I am driving very tiny little cars with no bottoms, like a pedal car, but on the freeway! Those are pretty neat, I can pick them up and turn them around just like a kiddie car. And then there are the times I am riding in the backseat when I realize I should be driving, and no one is driving or steering the car! I am afraid to look all this up, Freud would have a field day I am sure. The other night it was a firetruck. I was heading into a town from a lonely country road. I stopped and got out. Everywhere I looked it seemed there was some bedraggled soul that needed some kind of help. Homeless, wandering street people. I saw a church and headed in that direction, feeling like I was guided there. I saw a minister praying for people behind the church. I wandered into the dark, dimly lit building where a service was going on….a little blonde girl who looked about 3 or 4clutched my hand as I walked by. Her hand was gripping mine, and she wasn’t letting go. When I looked closer I saw that she had some kind of deformity in the face, like a cleft palate. I just wanted to get out of there. I woke up….It seemed that the Holy Spirit was whispering in that quiet way He has, “You were supposed to rescue them.” But I just wanted to leave….it still troubles me 3 days later. When was the last time I went to a prison to visit someone? When was the last time I went to visit the sick (someone I didn’t know)?